In this part of the world where data plans are pretty expensive for some, free WiFi really comes in handy. But getting a free and open WiFi connection is not always an easy task. Last year, Facebook released a new feature on Android and iOS called Find WiFi. This feature made it easier for those travelling to locate the nearest open WiFi but the only problem was that the feature was only limited to a few countries. 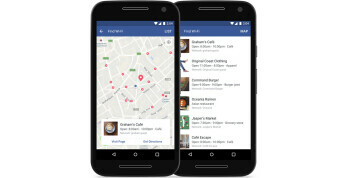 Now, Facebook has started rolling out the Find WiFi feature globally to both android and iOS users. This means that users who have this feature will be able to easily locate available Wi-Fi hotspots that have been shared by businesses with Facebook from their Page. Note that there is no need updating the Facebook app on your android or iOS smartphone to use the Find WiFi feature as it will be automatically updated by Facebook from the server side.